At the fourth annual E-Consult Workshop, held in November 2018, providers, payers and policy leaders spoke on the current state of e-consult, which has now reached its tipping point due to both federal and state policy changes and learnings from maturing implementations. The Workshop’s topics and speakers listed below are linked to presentation recaps and slides. Five years ago, AAMC began Project CORE, or Coordinating Optimal Referral Experiences, in recognition that “the interface between primary care and specialty care was just as important as team-based care in the primary care setting and had been under appreciated in its relevance to high value care,” explained Scott Shipman, AAMC’s director of clinical innovations. Using e-consult, Project CORE “seeks to enhance quality and efficiency of communications and coordination between PCPs and specialists,” explained Shipman. Today, 27 Academic Medical Centers make up the Project CORE community. 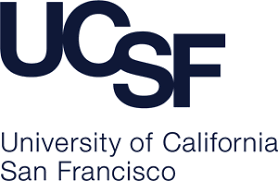 “We’ve seen how compelling this model is to academic health systems to improve care at the interface of primary care and specialty care,” he added. In 2017, the E-Consult Workgroup and DMHC formed a subgroup to focus on e-consult use by managed care plans and address issues such as how the department will assess telehealth and review plans’ e-consult programs. “Access and network reviews will deliver a lot of data and we are working on how to assess health plan compliance and increased accessibility for enrollees related to the use of e-consult,” explained Southard. Together, the subgroup has agreed upon four e-consult tenets: improving access, not narrowing networks for consumers, delivering quality patient experience; and providing high rates of enrollee satisfaction. In her comments, Dansky reviewed the e-consult partnership between Care1st, North County Health Services, an FQHC serving Medi-Cal members in San Diego. “Our intent is to improve quality and access to care. In our Medi-Cal market there was a serious issue with specialty care,” said Dansky. “E-consult helps us get at the Quadruple Aim and the primary care providers’ satisfaction. They’re working in the safety net for a reason and they care about their patients. If they can’t get them access to specialty care, that contributes to job dissatisfaction. By having regular electronic interaction with specialists not only are they improving care for their patients, they are improving their own learning. Doctors are life-long learners,” she explained. Over four years of use at CH&W, e-consult has brought efficient specialty access to its members and support to primary care providers. “We thought e-consult was an opportunity to influence the transformation of healthcare delivery system so we made a significant investment,” said Schweyer. When supporting new e-consult implementations, CH&W forms “deep, deep partnerships with our pilot sites” and focuses on provider engagement, noted Schweyer. “Provider engagement from the health plan perspective is very important. We’ve strategized on a number of levels of communication and investment and consider the work that the PCPs do,” explained Schweyer. One of those investments is an incentive payment to make sure that primary care providers are opening and responding to the specialist response in a timely fashion. PHP has a broad telehealth footprint in Northern California that has done “really, really well,” commented Harris. She also added that PHP has “a lot more to learn and there are a lot of areas of opportunity to grow and e-consult is one of those areas.” To support this growth, PHP promotes, educates about and incentivizes the use of e-consult. One element of this strategy is on-going communication with health centers via email blasts and conference calls, explained Harris. “A lot of our health center providers and coordinators aren’t aware of what e-consult is so we want to be able to continuously remind and educate them about what e-consult provides,” she added. Through email blasts, PHP shares data with health centers about who else is using e-consult in their network and what health plans have e-consult available to them. In addition, PHP conducts bi-monthly coordinator calls and also provides what are called “coordinator grants” based on e-consult submission numbers. The majority of health centers in the PHP program have a care team supporting the provider in the e-consult process. “We try to support them as much as we can because we don’t want to keep burdening our PCPs. We want them to work to the highest level of their license,” remarked Harris. California is entering its fourth year of the CMS 1115 Medicaid Waiver and CMS has requested that California DHCS report on patient-centered metrics from the three years of accumulated data. The California Health Care Safety Net Institute’s study includes a review of PRIME and GPP metrics and how they drive the adoption of e-consult. “The waiver incentivizes the kind of provider behavior that is the goal. The PRIME data shows that public hospitals and health systems moved from low e-consult response rates to reasonably high response rates from year one to year three,” explains Giboney. The GPP data also shows an increase in e-consult use, although the data don’t reflect all e-consult activity because hospitals that have accumulated all their points through other activity have not incentive to report e-consults as well. “A lot of people are starting to ramp up their e-consult programs and we are expecting to see more GPP data on e-consult,” adds Giboney. E-consult use accumulates experience and data that can be leveraged to improve many elements of primary and specialty care. “The primary care specialty care interface is an on-going circle with lots of places where we can improve work. E-consult is at the center of our system and can be leveraged for other activities both on the primary care side and the specialty care side,” explained Tuot. For example, e-consult provides data to identify CME opportunities for primary care. In addition, discussion of e-consult use and workflow provides a way to bring primary care and specialty care providers together to collaborate. “The point of this is to bring together providers to discuss the e-consult workflow. It’s surprising what happens in these discussions. Collaboration and bringing providers together is very effective and we use e-consult as the leverage to do that. E-consult is not about the technology, it’s about getting people together,” said Tuot. 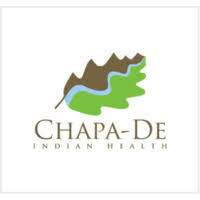 At Chapa De, e-consult is the norm to access specialty care for the clinic’s 20,000 patients. “We have full adoption and e-consult is just part of what our providers do,” commented Mulligan. 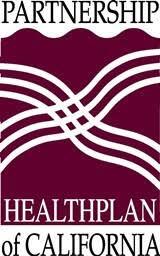 The clinic works closely with both its vendor and its health plans to manage e-consult workflow. “Our unique experience is that all our middles have got their own panels. They are the one that use it the most. Their scope of practice is directly growing because they have a folder of e-consults,” explained Mulligan. 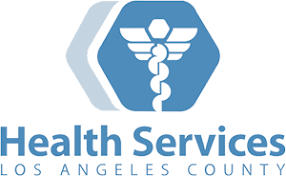 Los Angeles DHS processes 19,000 e-consults a month. “It’s built into workflow. It’s built into culture. It’s at the heart of what we do,” remarked Yee, who has personally completed 18,000 e-consult reviews. From his work with e-consult as well as his observations of other implementations, Yee notes that barriers to implementation are 95% operational. “Operations and execution is where we get stuck. To manage this you need a team both vertical and horizontal. It is critical to have a complementary team that understands all of the different pieces of e-consult,” said Yee. He believes that in the future, the use of e-consult needs to evolve to relieve the burden on primary care providers and reallocate it to specialists. 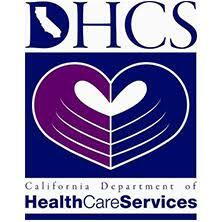 DHCS has released a new version of its telehealth provider manual to create a single source for Medi-Cal information on telehealth use. The revision includes removal of the limiting language on originating and distant sites as well as a new section dedicated to e-consult. “The overall goal of this new telehealth policy is to have a forward-thinking, innovative approach to telehealth in the safety net setting whereby the insured beneficiary has access to high quality healthcare in a way that they didn’t have previously. There is also an emphasis on the increased flexibility for our providers because we have confidence in our provider community that they do what’s best for their patients so we want to be able to give them latitude when they are rendering services,” explained Bonnifield.